One of the longest-running scripted shows on cable has set its end. Suits, which returns tonight for the second half of season eight, has been renewed for a ninth and final season. The final season will consist of ten episodes, down from the usual sixteen. The series premiered in Summer 2011, and has aired nearly 120 episodes since. Gabriel Macht, Rick Hoffman and Sarah Rafferty have starred since the show began, with Dulé Hill and Katherine Heigl joining in recent seasons. Meghan Markle, the Duchess of Sussex, was famously a member of the cast for its first seven seasons. This is a correct prediction for the TV Ratings Guide's USA Renew/Cancel. What do you think of this news? 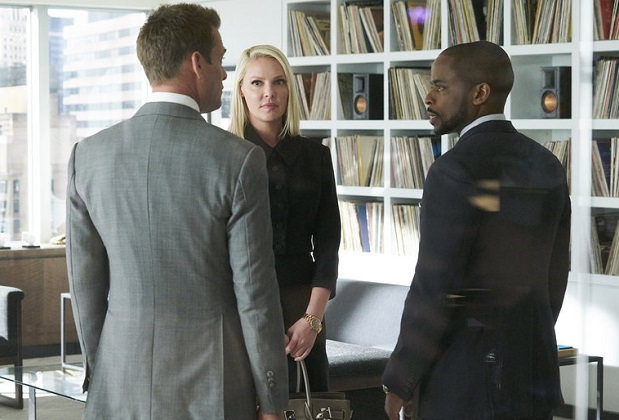 Will you miss Suits after it wraps for good? Let us know in the comments below!